There are three cards in the package, together with assembly instructions. 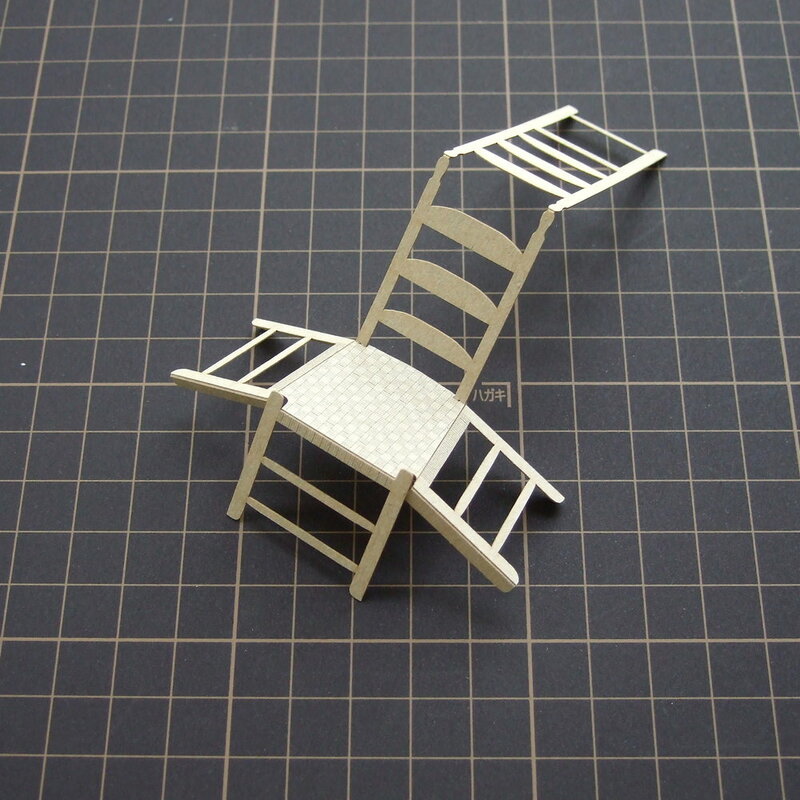 Detach all parts of the chair and candle holder from the second card, using a craft knife/scalpel – connections are indicated by little triangles. 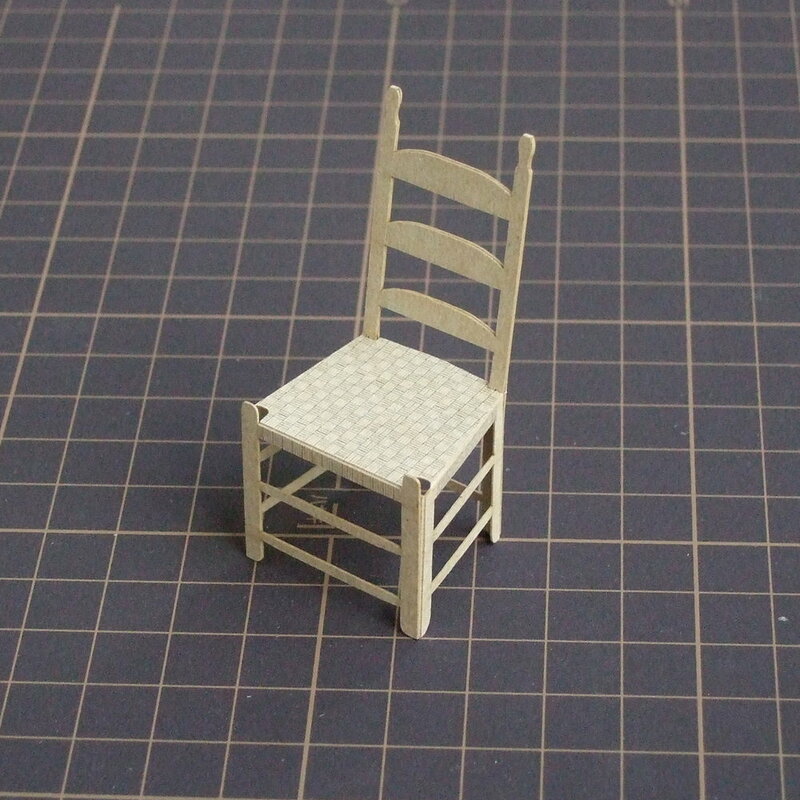 Fold along engraved lines and shape into a chair. 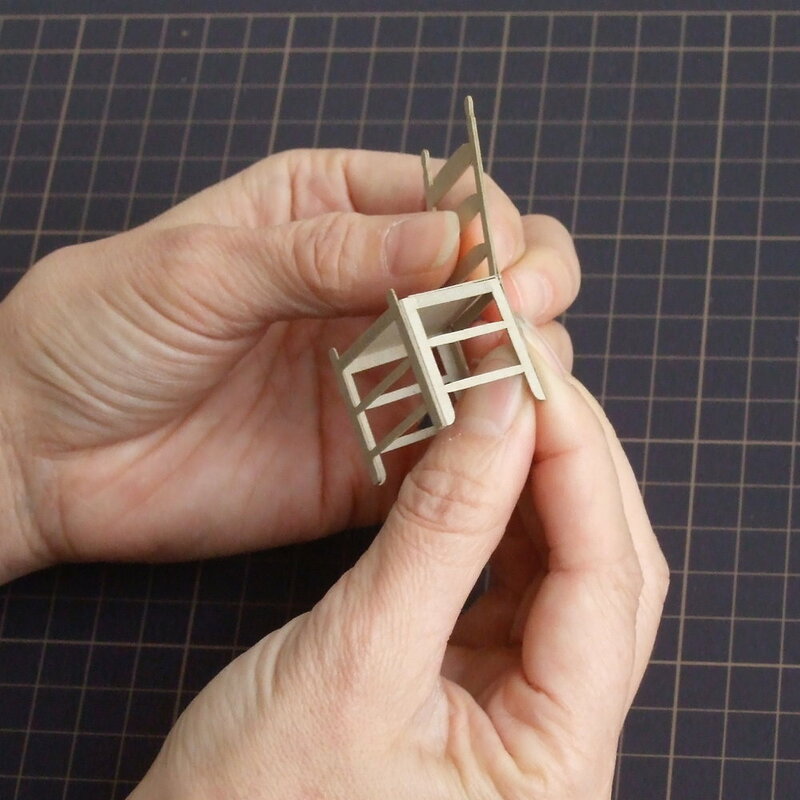 First, assemble front legs – apply glue to the hatched area, with a pointy stick (such as a cocktail stick) and press firmly in position. Apply glue between two layers of back, and back legs, press firmly to stick. The Shaker chair is complete. Too easy!? With the printed side of the WALL facing upwards, fold the bottom of the wall DOWN, as in photo above. With the printed side of the FLOOR facing upwards – fold UP along all three dotted lines. 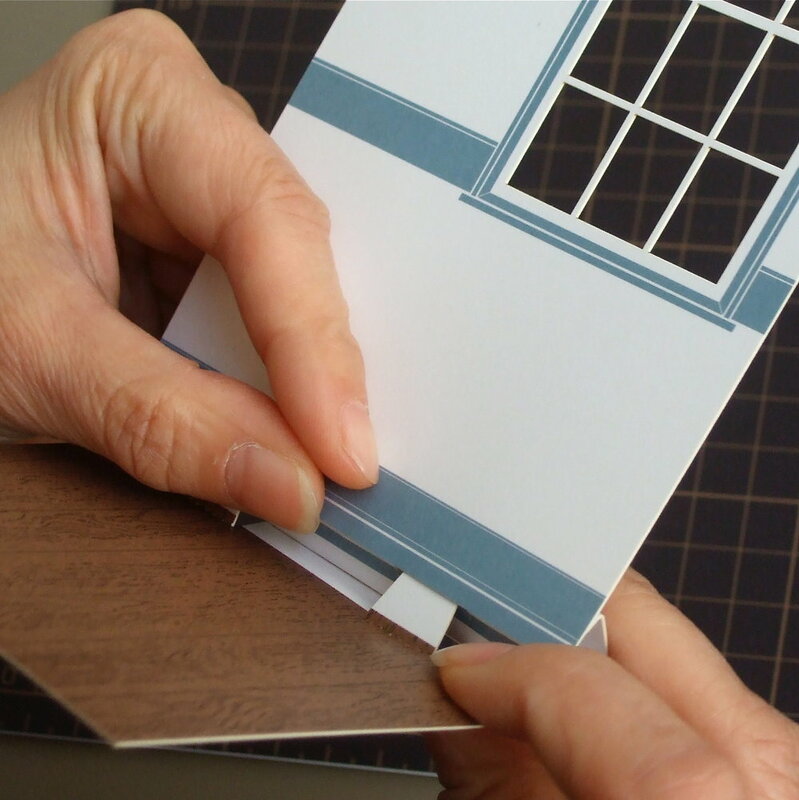 Fold up two small tabs as well. Apply glue to the hatched area of floor part. Then turn the wall part back-side facing upwards and glue the three ‘tongues’ of the floor at the arrowed folding line so that the floor is now attached to the wall. 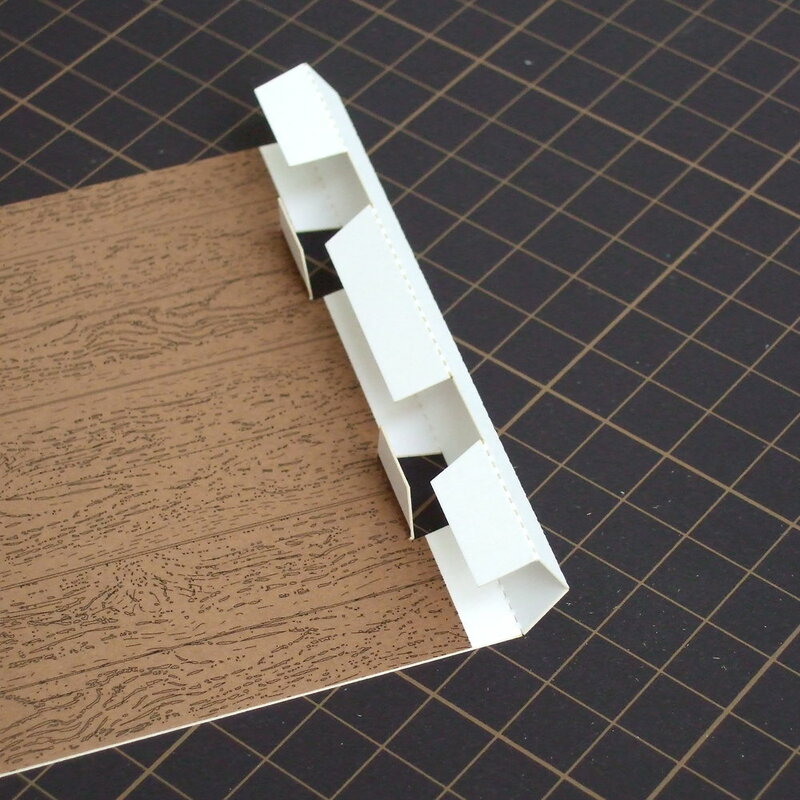 Insert the two tabs into the slots below the front of the wall – it is best to insert both at the same time. Adjust the back to make the wall and floor at right-angles to each other. 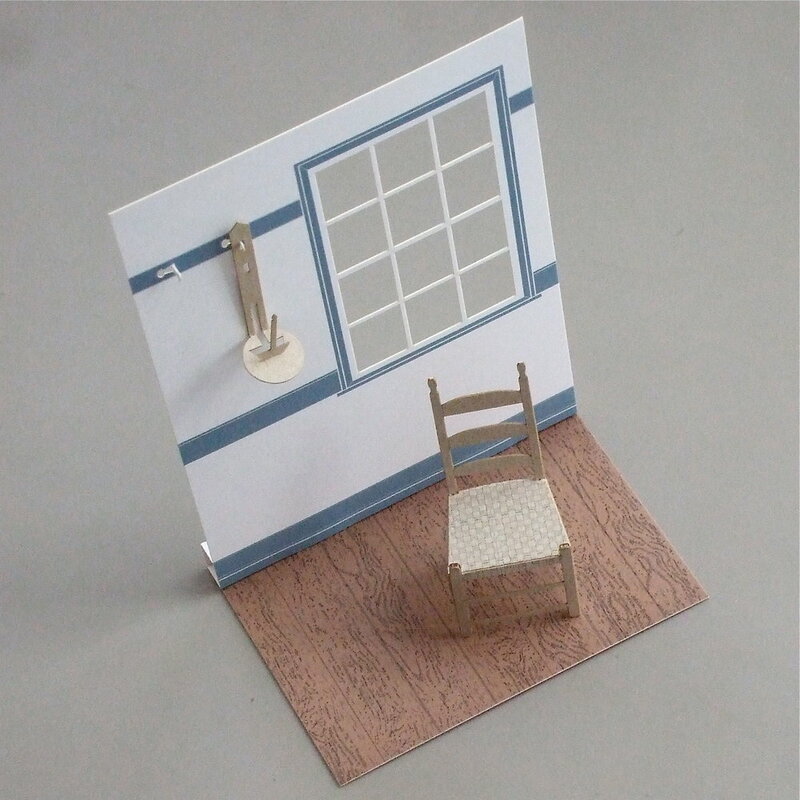 If you want, you can glue at the join of back and wall for a permanent display, or leave without glue should you wish to flat-pack the interior in the future. 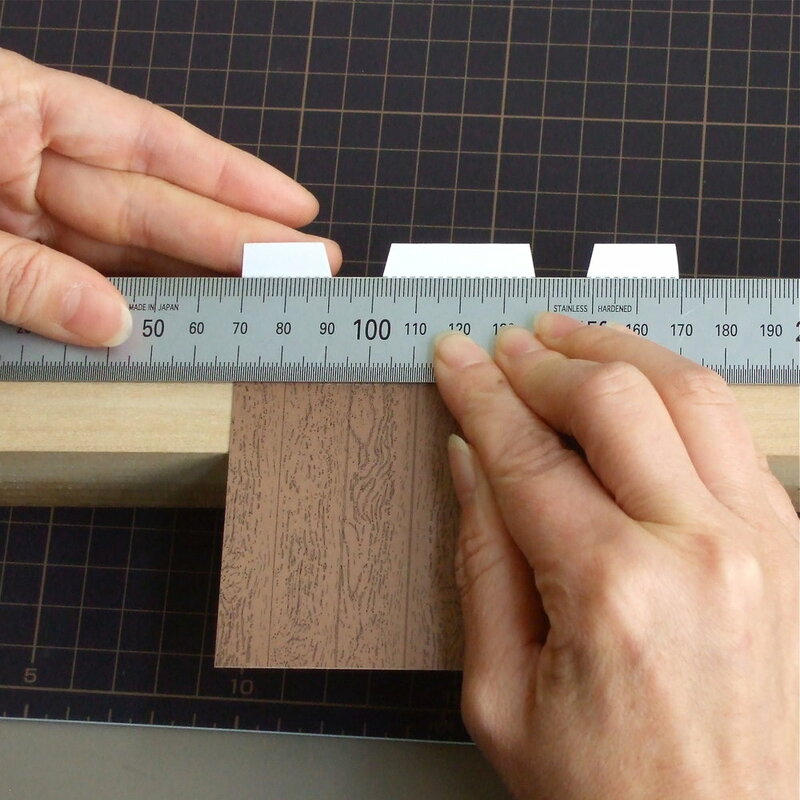 Press the two cut-out wall pegs from behind using a pointy tool. When you hang the candle holder on the peg, the diorama is complete!